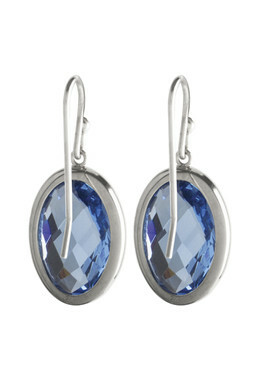 Beautiful earrings in a silver toned finish with a translucent blue oval-shaped facet cut crystal pendant. 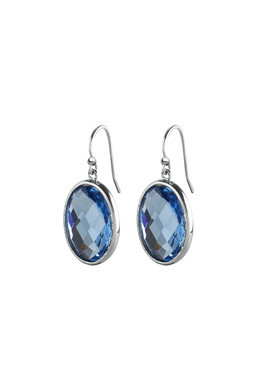 These earrings work perfect for both a day at work or an elegant evening look. 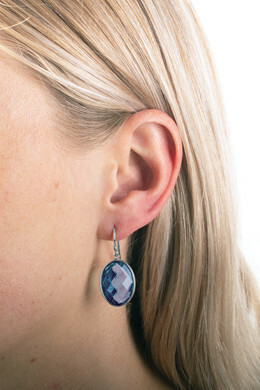 With a hook closure.